Cats and dogs on Borneo - Welttierschutzgesellschaft e.V. 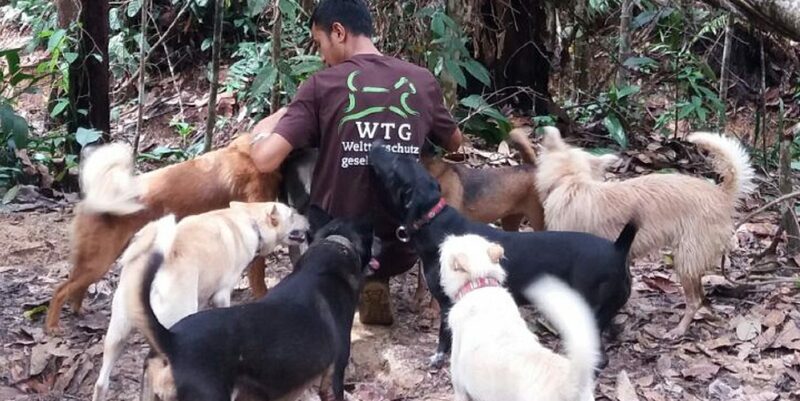 The local organisation Pro Natura Foundation (PNF) has been dealing with the sad situation of many cats and dogs on Borneo for more than ten years. 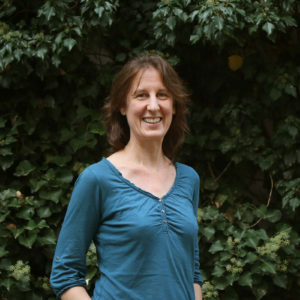 However, their animal welfare measures - neutering and mobile animal clinics - could so far not be achieved to the necessary extent due to a lack of support. 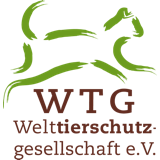 With the help of the Welttierschutzgesellschaft, the PNF can now develop a sustainable approach for more animal welfare and therefore reduce the suffering of many dogs and cats. In contrast to the way we predominantly live with animals in this country, dogs and cats on Borneo have a free and independent life and only return to their owners every couple of days. As a result of this, they reproduce uncontrollably and diseases spread quickly among the animals. Due to the financial situation of the animal keepers and also the lack of knowledge about the needs of their four-legged friends, animals are often neglected. Therefore, the PNF, which takes care of an education centre for the protection of forest and wildlife near the city of Balikpapan, has also been caring for the cats and dogs on the streets since 2005. They neuter and care for the animals and try to raise awareness for animal welfare among the people in the surrounding communities by means of occasionally held mobile clinics. So far, a structured approach has been difficult due to financial and personal reasons. There is also still no reliable knowledge about the number of dogs and cats living there. A geographical feature makes things even more difficult in Balikpapan: The uncontrolled stray population also has negative effects on the neighbouring nature reserve Sungai Wain Protected Forest - the last lowland primary rain forest of the region with an incredible biodiversity. The stray dogs and countless cats are not only the natural enemies of some of the species living there, but they also carriers of diseases such as rabies. In order to ensure that this important work has a lasting effect, the Welttierschutzgesellschaft supports PNF on three stages. By means of a one-year study, the correct number of dogs and cats within a 10km radius of the education centre is determined and the health status of the population is recorded. This is the only way to measure success in the long term as well as to determine and tackle the most urgent veterinary challenges. Castrations are already taking place in this area - either on site or at the training centre - and the mobile clinics in the surrounding communities will continue this work. In comparison to the previous years, this is now possible constantly and in the required intensity thanks to our support. A total of 200 stray dogs - approximately half of all the animals living there - as well as 500 cats are to be neutered within one year. 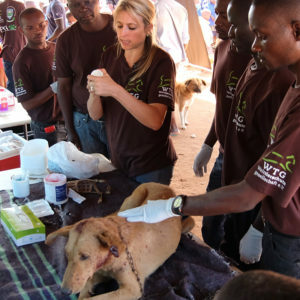 The mobile clinics offer free medical care and neutering for dogs and cats to the animal owners. This opportunity is used to talk to them about the animal’s needs, animal welfare, feeding and the necessity of veterinary care. By means of quarterly control visits and annual vaccinations and worm control the situation is to be improved in the long term.